We love to hear from ya! Where else can you get your notary done on Sundays? I am happy with your notary service and for the timely delivery of my documents. A++ service and fair pricing. Yes, we will help you get the service done. Some out of State Employers feel more comfortable with a Notary Public verifying the Employee IDs, our Notary Public will sign off on the ID’s, but will not stamp or seal the I-9 Form as it is prohibited by the Immigration Services. Employers will bear full responsibility for their compliance with the law. What If I want To Come To You? Can You Notarize Documents In French Or Arabic? When Should I Sign The Documents? Your documents MUST be signed in front of our staff, you can complete all your bio and contact details on the form except the notary. You must wait until our staff witness you actually signing the document. NO. You will have to make arrangement to have your own witnesses available during the notary service. The Witnesses must present valid photo ID in order to participate. Our mobile notary can help make your life just a little easier! We strive ourselves in knowing that we help people with their last-minute Notary Public services. 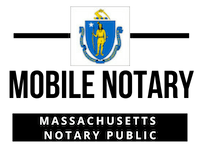 Our Notaries specialize in a variety of fields and have over a decade of experience in dealing with legal documents, mortgages, affidavits, Cori Checks, I-9 forms, Copy Certifications and so on and so forth. You are here because you are wondering where to find a notary near me. 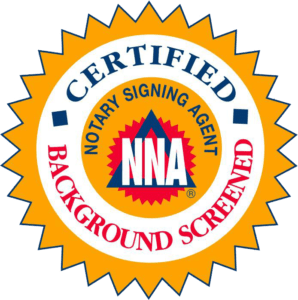 Whether you are refinancing a house, updating your deed, creating power of attorney, or executing just about any type of legal and financial document, you need a notary public to certify these documents. Give us a call today to get started: (978)851-0199.